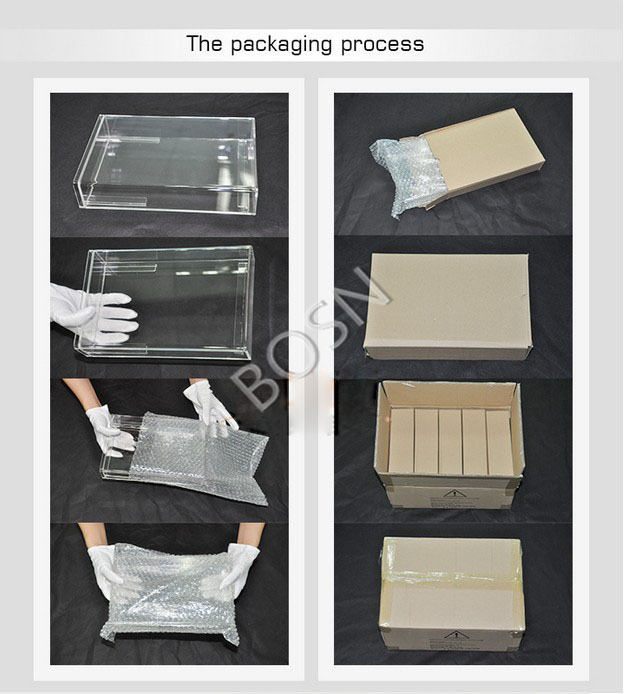 Standard Export Packing 1.Eash pc packed bubble bag. 2. Put it into inner carton. 3.Fill the gap with soft things. 4.Put the inner carton into the master carton. Or as customer required. 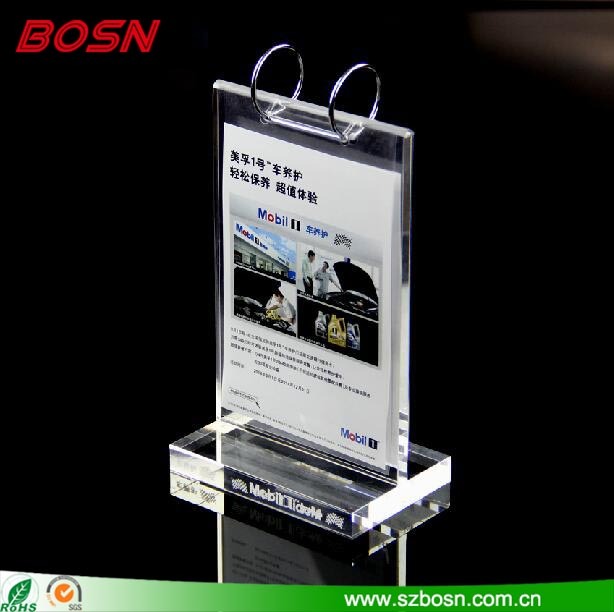 1.Company Name: Shenzhen BOSN Art & Crafts Co.,Ltd which located in Shenzhen,Guangdong,China. 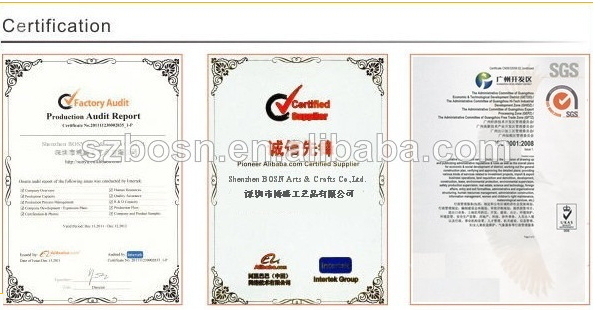 (2)Six major department:Sales/Production/Quality Department/After Sales Service, R&D, Purchasing. 3.Main Markets: North America,Western Eurpoe,South America, South Asia, Domestic Market,Eastern Asia etc. 4.Main Product: Acrylic Lectern, Acrylic Photo&Picture Frame, Acrylic Furniture,Acrylic Sign&Block Holders,Acrylic Display, Acrylic Paperwight, Acrylic Box etc. 5. Advantages: We have nine years of product experience, and creat the biggest benifit for you is always our purpose, so choose us will give you a different feelings.